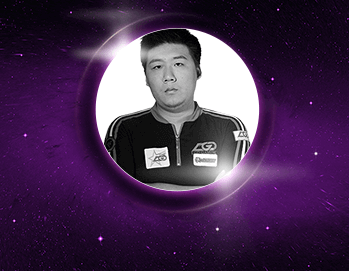 Sun “Agressif” Zheng is a Chinese Dota 2 player currently activating as a full-time professional for Invictus Gaming. Having taken part in dozens of tournaments, he has amassed winnings of over $850K. And given that he’s only 26 years old, he still has at least a few more years to play at the highest competitive level and win more trophies. If you’d like to learn more about Agressif and his achievements, as well as his preferred Dota 2 roles and the teams he’s played for, it’s all covered in the upcoming sections. Agressif started to play professionally and make a successful career out of passion for Dota 2 after The International 2013. He first joined New Element and later played for CDEC Gaming. Pretty soon, he began getting top placements in important competitions, such as the National Electronic Sports Open (2014). Eventually, CDEC qualified for The International 2015, where Agressif and his team made history. Coming into the event from the Wild Card competition, CDEC had a formidable run that ended only in the Grand Final against Evil Geniuses. With this 2nd place finish in the most important tournament of the year, Agressif, as CDEC’s position 1 carry player, achieved a very high status in the Chinese professional scene. Even today, he’s still regarded as one of the legends of Chinese Dota. Throughout his career, Agressif has utilized his skills by playing the position 1 carry role within the Dota 2 teams he’s been a part of. No doubt, his results clearly prove that his understanding of this role and the heroes it involves is exceptional. Among his preferred heroes are Sven, Gyrocopter and Razor. Of course, like all good carry players, he is very versatile and can play pretty much anything that’s needed for the strategy employed by his team. Agressif has been part of many teams and is currently playing for Invictus Gaming. Among his previous teams I will mention New Element, LGD.CDEC, CDEC Gaming, LGD Gaming, Team VGJ, and For The Dream. The two teams he was involved with the longest were CDEC Gaming and Team VGJ. With these teams he achieved many of his notable results, including that 2nd place finish at The International 2015. In spite of starting to play professionally in 2013, it wasn’t really until 2015 that the achievements started to mount. Agressif has won only a few tournaments in his entire career, but he’s had many top 6 finishes at important events. Among his most successful tournaments, I would mention The International 2015 (2nd place), Dota2 Professional League Season 1 (1st place), ECL 2015 Dota 2 Autumn (1st place), The Frankfurt Major 2015 (5th – 6th place), The Manila Major 2016 (4th place), Nanyang Dota 2 Championships Season 2 (3rd place), MLG World Finals (3rd – 4th place), World Cyber Arena 2017 (1st place), StarLadder i-League StarSeries Season 3 (2nd place) and The Kiev Major 2017 (5th – 8th place). Overall, Agressif has made close to 1 million dollars out of playing Dota 2 (and that’s just prize money from tournaments), which isn’t bad at all. The highlight of Agressif’s career has been no doubt his run with CDEC at The International 2015. Qualifying for the tournament by taking 1st place in the event’s Wild Card competition, CDEC showed early signs of unusual strength by placing 2nd in Group B with 4 wins, 1 draw and 2 losses. Then, at the main event, CDEC quickly defeated Cloud9 (2 – 0), LGD Gaming (2 – 0) and Evil Geniuses (2 – 0), sending all them to the lower bracket. The only one that came back for revenge was Evil Geniuses, and ppd’s team did manage to finally figure out CDEC’s playstyle, defeating them in 4 games. The last of those games was basically won in Roshan’s Pit, thanks to a scene that has come to be known as the 6 million dollars Echo Slam. Practically, EG’s Ancient Apparition’s Ice Vortex + Ice Blast, combined with UNiVeRsE’s ultimate, killed 4 of CDEC’s members while they were trying to kill Roshan, giving EG a decisive advantage which couldn’t be undone. After taking 2nd place at The International 2015, CDEC won 2.85 million dollars and then went on to get a few more good placements in the next season as well. As I mentioned before, Agressif is currently playing for Invictus Gaming. The team hasn’t been performing very well lately and does not have a single point this season in the Dota Pro Circuit. Still, IG took part in the Dota 2 Asia Championships 2018 Major, taking 9th – 12th place, and has also won a lower tier Asian tournament, namely World Cyber Arena 2017, for which it received a prize of 47,000 dollars.